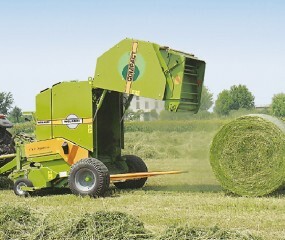 Wolagri has a complete range of round balers to satisfy your requirements. The company was established in 1981 and has recently been acquired by the Tonutti Group to complete their range of hay products, cut, rake, bale and wrap. Wolagri has expanded to become a dominant product in the European market. The range features many models, from the largest highly sophisticated fully automatic model for big farms and contractors, to classical models suitable for medium-small farms, and mini round balers for small and hobby farms or those looking for an alternative to square bales. Please note that specifications are subject to change without notice.